An identity thief can get access to your bank account in several ways. Stealing your debit card is one common access point, but it's not the only one. For instance, when you pay for something by check, you’re handing over your bank account number and routing information to the merchant, the salesperson, and anyone else involved in the processing of your purchase. Armed with this information, identity thieves need only make a small investment in the right kind of check printing software to begin stealing money from your bank account. When someone gains unauthorized access to your bank account, the act is a form of identity theft. But the bank may call it account fraud, unauthorized withdrawal, or even true-name fraud. Whatever language is used, you will need to know what to do and how you're protected. The Electronic Funds Transfer Act (EFTA) provides you with some protection from bank account fraud, but it's limited. If you believe that an identity thief has access to your debit card or checking information, you must take action immediately. The Electronic Funds Transfer Act (EFTA) provides banks with some guidelines on how to resolve disputes with ATM/debit cards. But the onus is on you, the account holder, to recognize unauthorized transactions on your account. 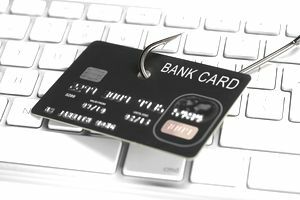 To catch bank account identity fraud sooner rather than later, make a habit of reconciling your bank account each month when you receive your bank statement. If you have numerous deposit and debit transactions, reconciling your account twice a month could be a wise habit. If you notice an error, report it immediately. If the error is reported within two business days, your loss should be limited to $50. If the error is reported within 60 days, your loss will be limited to $500. If the error is reported past 60 days, you will probably be out the money and any overdraft fees. Many banks request that you provide this information in writing no later than 10 days after you initiate a dispute. If the account has been active for more than 30 days, the bank will do an investigation and get back to you within 10 days. If they need more time, they can take up to 45 days but will credit the funds back to your account while they investigate. The bank should inform you if the investigation will take longer than normal. If the account is less than 30 days old, or you’re disputing point-of-sale or foreign transactions, they may take up to 20 days to apply the temporary credit to your account. They may also take up to 90 days to finish their investigation.